First and foremost, stop labeling your meals as “breakfast,” “lunch,” “snacks,” etc. Labels create unnecessary boundaries in the creative process of meal planning. If you call it breakfast, all you can think of is toast and cereal. Call it a snack, and you want foods that are typically unhealthy and come in crinkly packages. These definitions have been taught to us over our lifetimes by TV programming and the food industry; it’s not that our bodies want or need certain foods at certain times of day. Who says you can’t have a steak or salmon in the morning or bacon at night? Once you let go of labels, the preconceived notions of “what foods we eat when” disappear, and you simply have meals again. One of my favorite time-savers is to put a roast in the slow cooker before I go to bed so that we have a delicious meal ready when we wake up. Say goodbye to labels and hello to feeling full and satisfied by eating the right foods no matter what time of day it is! Paleo-ize the foods your family already loves. Some people need to know that they aren’t giving up a special food forever, and that’s okay. If you make Paleo brownies, cookies, and pizza so that your family can give up drive-thrus and plastic-packaged food-like items, go for it. Using the Travel Treats recipes in this book, as well as recipes from my previous book, Paleo Indulgences, can make the transition much easier. Eventually, you can start reducing the amount of Paleo treats they eat, but for now, do whatever it takes to get them on board. Phase out one food at a time, if necessary, to lessen the shock. No one said that you have to do it cold turkey! 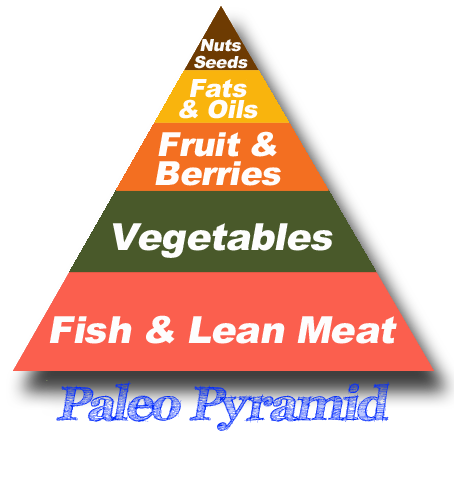 Do make sure that, at some point, you give strict Paleo 30 days to feel the full positive effects. In the beginning, though, feel free to remove one food at a time until you’ve Paleo-ized your kitchen. Tell them the doctor said so. I know it’s a little sneaky, but do whatever it takes to get your family to take Paleo seriously. Some spouses and kids are more apt to listen to authority than a loved one. If no one is listening, bring in the big guns. Don’t tell them at all! I know many moms who simply started making Paleo meals. It’s really not hard; just eliminate the pasta or rice and serve an extra veggie. Add some delicious Paleo treats, and your family will never know the difference. Well, not until they start feeling better and losing weight! Kids are more willing to jump on board if the decision is theirs and they help. Read to them about it, and talk a lot about their bodies and how foods make them feel. Kids don’t want to feel bad either! You’ll be surprised at how quickly they start regulating their own choices once they know how the chocolate milk at school is making them feel. Then have them help plan their school lunches, snacks, and even some dinners. Let them make a grocery list with you (I used picture lists for my little ones when they weren’t reading/writing yet), shop with you, and help you cook with cooking tips and tricks. Kids are much more likely to eat and enjoy what they’ve helped to prepare. Buy kid-sized kitchen tools such as scissors for cutting up veggies and herbs and smaller spatulas that they can handle easily and safely. They can even learn to cut with small knives that aren’t too sharp. Keep ready-to-eat snacks within easy reach. I like to keep washed, cut-up veggies in mason jars in the door of the refrigerator. My kids go to town on veggies without being asked because it’s their choice to eat them whenever they want.